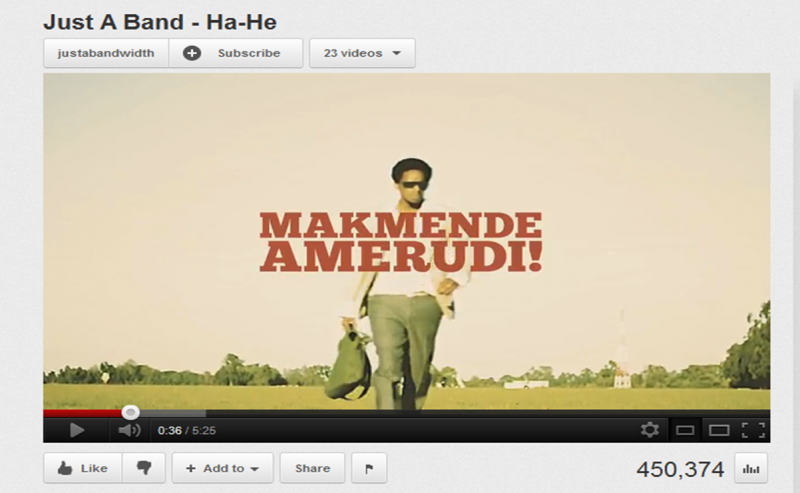 In March 2010, a music video by Just a Band brought the character, Makmende, to the consciousness of Kenyans - at least those who were wired to the internet. This lesson uses this event to explore how power, technology and culture influence the production and circulation of knowledge. Gain insight into Kenya’s social media and music scene, and the circulation of popular culture within Kenya and globally. Gain basic level knowledge about Sheng, a slang originating in Nairobi, and its relevance. Expand knowledge of contemporary youth culture in Kenya. Develop ability to compare cultures across time and space. Gain insight on relationship between knowledge, authority and power. Analyze the changing role of Wikipedia in global knowledge production and demonstrate how this relates to local and global knowledge of and expressions of experiences in the Horn of Africa. Edit Wiki articles related to topic after critical review of article, sources, and article history. Video: Just A Band – “Ha-He,” 2010. http://www.youtube.com/watch?v=_mG1vIeETHc. 1. Watch the music video “Ha-He” by the Kenyan group, Just a Band. 2. Watch the CNN report. 3. Read the Wikipedia entry on Makmende. 4. Then click the talk button and read the entries there. Follow the various links. 2. Lecture on relation between western, global and African experiences and knowledge. a. Global culture….Kenyan only phenomenon? Or global phenonomenon? c. How is knowledge given authority? d. Compare Kenyan youth culture(s) as represented in videos with U.S. youth culture(s). Edit Wikipedia articles. Follow History and Talk pages after editing. This bibliography provides resources for this.